US President Obama may have pulled back from immediate military action against Syria, but Iran’s Revolutionary Guards is waging its own campaign, both on the propaganda and political fronts. The Guards are seeking approval for “asymmetric warfare”, in the event of any American airstrikes. 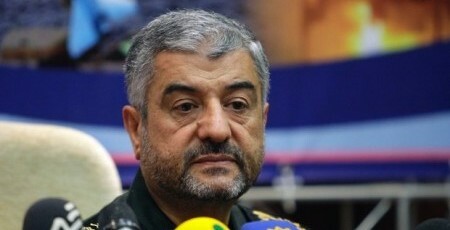 Jafari’s warning extended to any countries who joined Washington in the attacks, saying they would face “immediate crises in their national security”. Fars News, close to the Revolutionary Guards, carries an interview with the head of the Palestinian Fatah group’s “Information Dissemination Center” in Damascus, who threatens to “use all [the group’s] capabilities to defend the Muslim country against a foreign aggression”. Notably, the story is from Fars’ Damascus bureau, opened last November to complement the Assad regime’s propaganda coverage, often mirroring headlines run in Syrian State news agency SANA. Fars — through its interviewee — frames the possible American strike on Syria as part of US imperialist aggression against the Arab world. It threatens that, should a strike take place, “Islamic resistance groups” will respond asymmetrically. According to Fars, the PFLP and Hezbollah would respond to strikes against the Assad regime “by targeting the interests of invading states”. The PFLP representative says, “[A] military aggression on Syria will actually mean targeting the entire axis of resistance and will not merely be restricted just to that country”.